The philosophy of the graps family. 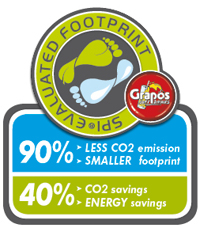 We are the GRAPOS Family. 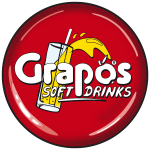 We are manufacturer of Grapos postmix-syrups for softdrinks and postmix-dispensers. We have the advantage of offering our clients everything from one single hand and to create an overall concept together with the client. What makes us unique is that each member of our highly qualified team has the competence for our product, the sale, the technology and the service. As a service-oriented company one of our highest goals is being available for our clients day and night, 365 days a year and to arrange prompt solutions. Our aim is that our satisfied clients carry out the word about our efforts resulting in a continuous growth of the GRAPOS family. Our staff is a team of allrounders who guarantee the quality of the GRAPOS family with their personal virtues, their constantly updated expert knowledge, their excellent working morale and their friendly behaviour towards clients. To keep this high standard and to strengthen our power we are working all the time developing and improving our qualifications. The special merits of our Management are: their model engagement and flexibility when dealing with our partners and their social and human behaviour in connection with a clear task-agreement. We ensure the constancy of our company by keeping social manners, perfection of personal management and the structures within our company. We see our suppliers as companions from whom we expect power of innovation and the competence to solve problems as well as a straight and professional transaction of orders at a constant level of high quality. This automatically results in a fair and longlasting partnership. Our distributors are important partners for us. Through perfect team-work, constant exchange of know-how and teaching they gain a consciousness for the quality of the product and the outstanding image of the brand. Thus a mutual benefit is assured. We put emphasis on the preservation of nature and our environment in order to live up to the responsibility for future generations. This is why we use refillable stainless-steel containers and modern technology of our manufacturing plant. The daily realisation of these commonly agreed principles grants the strenght and success of the GRAPOS Family.